Hair loss is often perceived to be unavoidable with up to seven out of ten men believing that there’s no reliable treatment. Centuries ago, “treatment” for hair loss involved smothering their head in chicken droppings but thankfully modern treatments aren’t just less disgusting, they’re also much more effective. Hair loss can be very effectively treated, particularly if help is sought sooner rather than later. 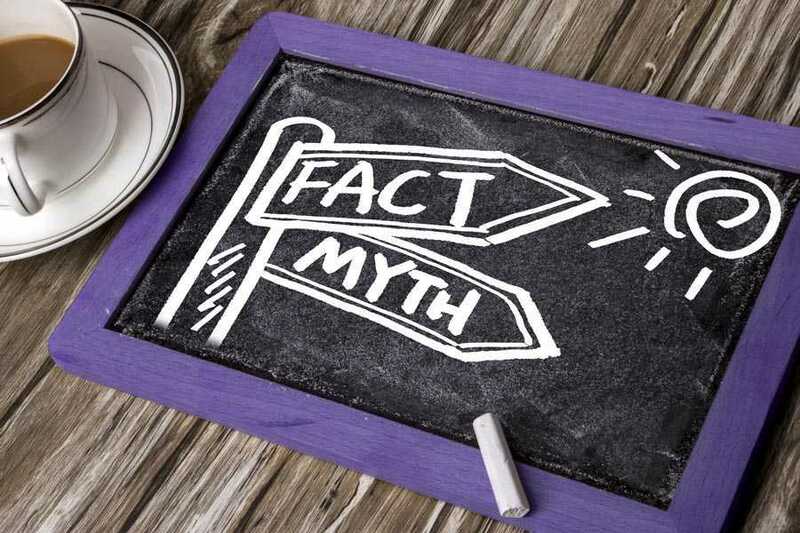 However, there are many myths about hair loss and its causes which still persist; can you tell fact from fiction? Good hair hygiene is important and the massaging action which occurs when you’re washing your hair can actually help to stimulate the scalp. Harsh treatments such as blow drying your hair too often and using straighteners may damage the hair itself, causing the ends to split and the condition to become dry and brittle but it won’t have any impact on whether hairs continue to grow. You may well see hair loss after you’ve washed your hair but this is just part of the normal cycle. Around 100 hairs per day is typical. If you think you’re seeing more, it won’t be due to the washing of your hair and you should seek expert help. Tight buns, ponytails or braids won’t have an impact on every type of hair loss condition but there is the possibility that it could be a factor. Traction alopecia is a hair loss condition where the hair follicle sustains damage because of too much pressure being placed on the shaft. Hair loss won’t develop overnight due to a tight braid or pony tail but when placed under this kind of stress over long periods of time, the hair shaft gradually weakens and the production of hairs first slows, then stops completely. Natural regrowth for traction alopecia requires early treatment and intervention. Stress can be extremely detrimental to health in a number of different ways, but they can also cause and contribute to certain types of hair loss too. Telogen effluvium and diffuse thinning can be caused directly by stress, causing the hair follicles to stop growing prematurely. They then enter into the telogen phase – resting phase – before going on to fall out after three months. The most common types of hair loss and baldness in both men and women are not caused directly by stress. Nevertheless, being exposed to too much stress can trigger the onset of these conditions earlier than they may otherwise have occurred, so can still be a relevant factor. Wearing a hat or cap for long periods can give you a serious case of “hat hair” but there’s no scientific evidence whatsoever that they have the ability to cause or contribute to hair loss. If the hair or cap you are wearing is particularly tight fitting, there is the possibility that blood flow to the area may be restricted but even then, no study has been able to demonstrate that this could lead to baldness or loss of hair. In 1946 a theory was proposed which suggested that hair loss and baldness was a genetic trait that was inherited from the mother’s side of the family. Although the idea has passed into urban legend status, there’s never actually been any proof at all for the theory. A genetic tendency towards hair loss can be inherited from either side of the family but it’s by no means a definite pattern. If your father is bald, you have an increased risk of suffering hair loss yourself, but it’s not definite that this will be the case. Hair loss can skip generations so whether or not your father had a full head of hair is no guarantee of your own future hirsuteness. Understanding what can contribute to hair loss can help prevent some forms of baldness, but in many cases there’s little that could have been done to eliminate the risk entirely. What’s more important is seeking early intervention and treatment as soon as you recognise there’s an issue….and you can be sure you won’t be prescribed a course of chicken droppings on the head!